There are many healthcare-related examples of “MacGyvering” whereby immediately available equipment is combined or fashioned (in whole or in part) to substitute for equipment that is either unavailable or non-functional. Despite the potential positive aspects to MacGyvering equipment, we would like to suggest that patient-care could still be advanced by conscious understanding of the potential negative aspects as well. Indeed, we would like to propose the term “MacGyver bias” to describe the inherent attraction of our own personal improvised (MacGyvered) devices, with the tendency to hold them in high regard despite the relative absence of evidence for their efficacy. Regardless of geographic location, profession, or specialty, healthcare providers appear to be aficionados of MacGyvered equipment, and workarounds in general. If “necessity is the mother of invention”, healthcare may be the birthplace of workarounds. Individuals that write procedures or design equipment are often divorced from the reality of implementing it within the context that it is designed to be used in. Even when testing of equipment and procedures occurs before full clinical introduction, it often occurs in a laboratory setting or under ideal circumstances, and not in clinical, naturalistic settings.2 Consequently, clinicians are often faced with the need to find new ways to perform the work that are more efficient and better attuned to their work context. 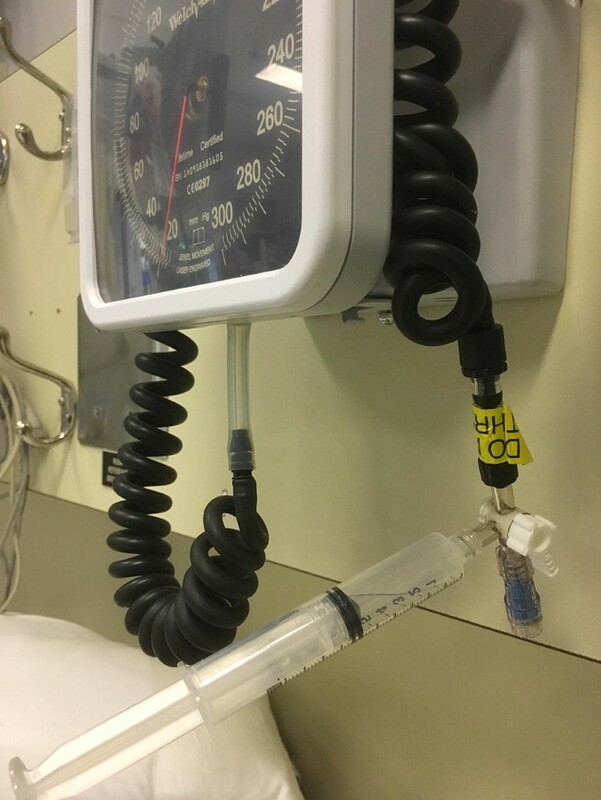 On a positive note, MacGyvered workarounds with medical equipment can give insight into deficits of equipment or design. Anesthesiologists have a proud and robust history of inventing solutions to clinical problems. For example, in the Spanish Civil War, anesthesiologist Sir Robert Macintosh constructed a simple Flagg can-style ether vaporizer by “passing an endotracheal tube and attaching it to an ordinary tin (such as a container for motor oil) in the top of which two or three holes had been bored”.3 Sir Robert Macintosh not only went on to design the Macintosh laryngoscope blade but also modified the design of life jackets during World War II to save the lives of unconscious soldiers.4 The original Laryngeal Mask Airway (LMA©), patiently designed and tested over many iterations, was invented by Sir Archie Brain.5 Through his determination and ingenuity, Sir Archie Brain did not simply “MacGyver” equipment on a local scale, but produced a commercially viable device for widespread distribution, and in doing so, has arguably saved more lives in modern anesthesia practice than any other person. Dr. Brain is an extreme, but perhaps not atypical, example of the clinician as inventor, with the LMA being the thirteenth patent that he had registered in his career. Interestingly, Dr. Brain built the LMA using a number of concepts, including the Leech airway,6 referenced in his LMA patent application. Without the Leech airway also being commercially available, Sir Archie Brain perhaps would not have had access to it as a precursor to assist in the development of the LMA. For a myriad of reasons, we are currently faced with, and grown accustomed to, equipment and medications being intermittently or permanently unavailable. Changes in expense, manufacturing, arduous approval protocols, and (ironically) either too frequent or too infrequent use of equipment may lead to sporadic availability. Even if stocked, if equipment is in an inconvenient location with respect to work flow patterns or cannot be readily found, healthcare workers will often create a workaround. For example, an individual may opt to use an endotracheal introducer with a coude tip for tube exchange if the fit-for-purpose airway exchange catheter is less conveniently stored outside of the operating room. Indeed, we may become so used to not having task-specific equipment available, that we may no longer notice the MacGyvered equipment we have used as a substitute is actually a workaround (Figure). As a broader public health example, postpartum hemorrhage is a leading cause of maternal mortality in low- and middle-income countries (LMIC), yet the cost ($400 CAD) of a commercially available intrauterine balloon used for intrauterine tamponade may make it inaccessible. Nevertheless, a MacGyvered solution (creating an intrauterine balloon from Home Depot© equipment10) could potentially save women’s lives in LMICs where no reasonable option previously existed. The effectiveness of this equipment has yet to be determined. MacGyvered equipment may well provide a temporary solution to a problem, but because this solution has not been sufficiently examined, it might not work in all circumstances and may present additional unintended consequences of its use. Commercially available products must meet the standards required by regulatory authorities. A proprietary device should perform the intended function adequately and with a low failure rate and low harm rate in the hands of trained users. In some cases, thousands of tests may be required to ensure that fatigue or manufacturing flaws do not lead to dangerous conditions. Factory production lines have ongoing quality control measures to ensure that products do not vary from their intended form and function. Such quality control enables any clinical studies that follow to test a very specific device. In contrast, a MacGyvered solution has not been sufficiently studied, and the effectiveness, safety, and limitations of its clinical use are not well defined nor quality assured. When commercial equipment that has been established to be safe for its original use is MacGyvered in novel ways,11 the assurance that it will continue to both operate successfully and be safe for the patient cannot be guaranteed.12 Additional stresses and design flaws may manifest that were not observed when the device was used for its intended purpose. Implicit to the impressiveness of MacGyver’s accomplishments was always his ability to problem solve in high stake situations that could not be reasonably foreseen, under duress of severe resource constraints and time pressure. If the scenario can be foreseen, does not have strict resource constraints, or time pressure, is jury-rigging in high risk situations justifiable? If MacGyver had known he might be abseiling that day, one might assume that he would have taken with him a modestly priced but purpose-designed solid metal carabiner, if not several. Are the resource constraints that produce MacGyverisms in our institutions always necessary, or are they sometimes the result of poor planning, poor workplace design, or funding biases? If necessity is the mother of invention, in modern medical practice we must be clear that the “necessity” exists. We do not wish to imply that if devices are commercially available, they have, by definition, always been shown to be safe and efficient. In Canada, medical devices are regulated by the Medical Devices Bureau of the Therapeutic Products Directorate, “the national authority that monitors and evaluates the safety, effectiveness, and quality of diagnostic and therapeutic medical devices in Canada”.20 Moreover, not all medical devices require a license to be sold in Canada, and there is controversy as to whether the licensing process for medical devices is adequate to ensure patient safety.21 Nevertheless, by having medical equipment commercially available, the safety of such equipment can be assessed by those not involved in the manufacturing process, whereas MacGyvered solutions cannot. It is noteworthy that “off-label” prescription medicine use has a recognized code of conduct. Off-label drug prescriptions are only considered when there is sufficient published evidence or experience to assume safety and efficacy, when no suitably licensed medicine is available, or when the drug is part of a clinical research study. We believe that medical equipment should not, and need not, be different. There is no doubt that a chance to showcase some creativity is enjoyable. It is fun to solve a problem, facilitate timely operating room list turnover without being “difficult”, and be recognized by the theatre team as being creative and resourceful. The danger is that a workaround is so culturally appealing that it circumvents the level of scientific scrutiny that we would expect from any other equipment that we use. Novelty, immediacy, ownership, and ease of use can increase our propensity to bias and willful blindness. From a human factors perspective, the domain called “affective design” seeks to determine the emotional response of the user to designs. Users are more likely to stick with imperfect devices and explore their functions more fully if they are emotionally connected to them when they are used.8 Clinicians may become emotionally attached to their own inventions, equipment permutations, and ideas, which can become a source of identity and pride.22 We believe MacGyvered solutions appear to engender emotional connections in clinicians that marvel at their ingenuity above the tested designs of commercial products. Inter-individual variation exists in clinical judgement, recognition of risk and degree of risk aversiveness. A decades-old case report describing a MacGyvered “poor man’s LMA” received a swift letter in reply admonishing the “scant regard for caution”, listing potential lethal consequences of the jury-rigged device and states that “there is a good case for stating that [an LMA] should have been available.” One person’s perceived success is another person’s “potentially dangerous manoeuvre from which the patient and the author are fortunate to have emerged without an adverse outcome.”10,11 When no evidenced-based18 commercially produced alternatives exist, there may be no choice. Nevertheless, we believe that this situation is now rapidly becoming a rarity. We suggest that creating idiosyncratic equipment is more likely to increase (not decrease) complexity and risk. Perhaps the first step in tempering our immediate “intuition over evidence” acceptance and celebration of MacGyvered equipment in clinical situations is to identify and report instances when the clinical environment and equipment are suboptimal, and how this affects decision-making and clinical actions. 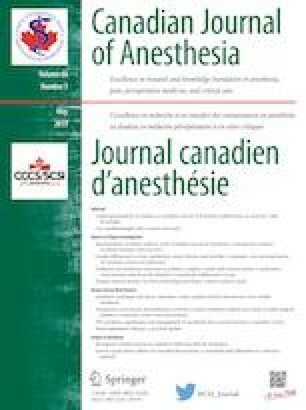 A recent article23 investigated the risk tolerance of anesthesia trainees and consultants by posing 11 different clinical scenarios. Participants had to declare “go or no go” regarding whether to proceed with a patient’s surgery based on the unavailability of certain equipment or wider hospital support (e.g., lack of waveform capnography or lack of an intensive care unit bed). Answers varied widely, with consultants more likely to proceed with surgery despite the lack of essential equipment defined by regulatory minimum standards. Although national guidelines exist regarding essential equipment for anesthesia care,24 the concept of “acceptable risk” is not well defined. In conclusion, we would like to coin the term “MacGyver bias” to alert clinicians to their potential bias of holding homemade devices to a lesser evidence-based standard than commercially made devices, in part, due to our positive emotional responses to our own creations. We wish to highlight that through MacGyvering equipment, we are inherently susceptible to its namesake bias. In failing to recognize this bias, we could potentially be placing our patients at risk. Institutional leadership is required to dismantle the (seemingly endless) amount of bureaucracy required to fund and stock appropriate clinical equipment, so that front-line healthcare practitioners have safe, proven equipment available when required. We do not suggest all workarounds are inherently poor. Nevertheless, we should be aware of their limitations and be willing to reflect on whether equipment deficits from poor planning or resource constraints are justifiable in modern healthcare settings. We need to recognize their limitations as we strive to promote creativity in our specialty, and in so doing, promote innovation while encouraging education that highlights cognitive biases, and addresses equipment deficits in a timely manner. English Oxford Living Dictionaries. McGyver. Available from URL: https://en.oxforddictionaries.com/definition/macgyver (accessed March 2019). BMJ Obituary. Sir Robert Macintosh. BMJ 1989; 299: 851. Available from URL: https://www.bmj.com/content/299/6703/851 (accessed March 2019). Vanderbilt T. The New Yorker. “Reverse innovation” could save lives. Why aren’t we embracing it? February 2019. Available from URL: https://www.newyorker.com/science/elements/reverse-innovation-could-save-lives-why-isnt-western-medicine-embracing-it (accessed March 2019). Health Canada. Safe Medical Devices in Canada. Available from URL: https://www.canada.ca/content/dam/hc-sc/migration/hc-sc/dhp-mps/alt_formats/pdf/md-im/activit/fs-fi/meddevfs_matmedfd-eng.pdf (accessed March 2019). Star Editorial Board. The Star. More Oversight Needed from Health Canada on Medical Devices. Available from URL: https://www.thestar.com/opinion/editorials/2018/11/26/more-oversight-needed-from-health-canada-on-medical-devices.html (accessed March 2019).